I read this terrific post from our friends at New-Hire.com about the best sources for candidates in general. It certainly applies to sales candidates as well. Not only are the best sources a moving target, but the candidates themselves can be looked at the same way. Five years ago, we may have started with Monster.com, two years ago, CareerBuilder.com and today, we may start with Indeed.com. That represents two major sourcing shifts in just 5 years. In the same period of time, there have been major shifts in the quality of sales candidates, in the roles those candidates will fill, and the capabilities we need those salespeople to possess. For example, just 7 years ago, a company may have needed salespeople who could hunt and/or close. While that still could be true today, it's also possible that inside sales might replace the need for hunting, and a good consultative seller could add enough value to the prospect, his/her business, and the buying process so that great closing skills aren't required. The competencies of an inside salesperson, hunter, closer, consultative seller and even account manager are vastly different, so it is imperative that we not only define those competencies, but use tools to measure them. Assessments are the logical choice, but it should be more and more obvious that a personality assessment can't possibly measure the different sales capabilities that would cause one to be effective in one of these roles and ineffective in another. Objective Management Group (OMG) measures sales-specific capabilities, has configurations for all of the various sales roles, and further customizes those configurations for the specific business, market, competition and decision maker to be called or visited. Its recommendations are extremely accurate and today it even identifies the intangibles that could cause an otherwise mediocre salesperson to succeed. If you would like to learn more about how OMG's sales candidate assessments can help you select the right salespeople, I am leading a complimentary webinar on the magic of the OMG Sales Candidate Assessment. Seven years ago, a company may have wanted sales managers who were task masters, holding salespeople accountable to top of the funnel metrics. While that could still be true today, a company should be looking for a sales manager who is an extremely effective sales coach, who spends 50% of the available time coaching and developing salespeople. 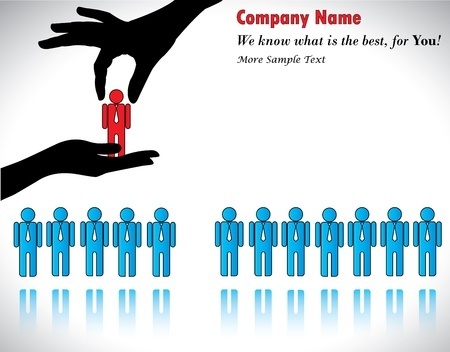 As sources shift, requirements change, and the capabilities of the available candidates become less than what we require, it's more important to develop a sound sales recruiting process that is repeatable, transferrable and delivers consistent results. In this case, results must equate to successful salespeople and sales managers who achieve and even overachieve. This level of consistency and success requires a change in beliefs, a desire to change the status quo, an exasperation with previous attempts and results, and embracing new ways to improve results. Unfortunately, there are still many executives who have unrealistic expectations about their ability to recruit and select, and that if they do what they have done before, the result will change for the better. It's not that difficult to get sales selection right, but it does require discipline, patience, process, tools and tremendous sales interviewing skills. Let us know when you're ready to take that plunge.